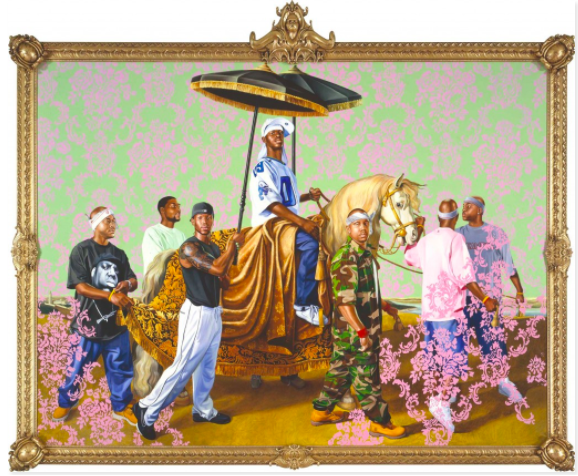 The first time I ever said, “I have to have an original”, in regards to fine art, was when I found myself randomly browsing through Kehinde Wiley’s revolutionary works of art. His perspective immediately grabbed my attention, and didn’t let go. I was stunned, in tune, and inspired to say the least. Wiley became known for his naturalistic portraits of African American men in heroic poses, often blurring the lines between traditional and contemporary modes of representation. Throughout his work, Wiley makes specific references to Old Master paintings, making them his own by combining a wide range of references from classical paintings, architecture, and pop culture. Since his breakthrough Passing/Posing series, in which he replaced the heroes, prophets, and saints of Old Master paintings with young black men, Wiley has continued to astonish the world with his interpretations of black and brown people. In fact, Wiley's work is so esteemed, he's been featured in multiple exhibits, received countless awards, and has been commissioned by the likes of Michael Jackson, and most recently, former President Barack Obama. His portrait of Obama has further solidified his place in history, as it is the first official presidential portrait by a black artist to be featured in the National Portrait Gallery - alongside Amy Sherald, whose portrait of former First Lady Michelle Obama was simultaneously unveiled. 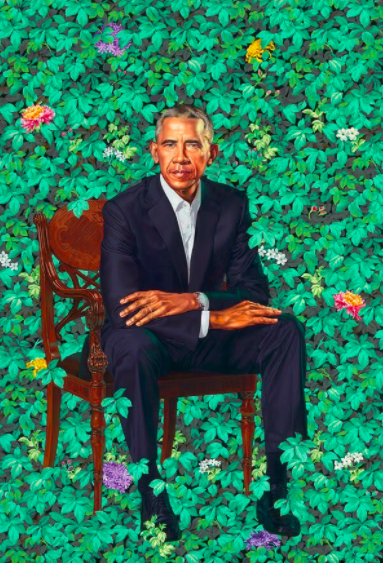 Wiley's oil on canvas portrait of Obama immediately sparked much controversy, including the notion that it's relatively unconventional in style. Nevertheless, rather critics think the portrait is unconventional or groundbreaking, it is for certain that Wiley was perfect for the job. The official portrait of this nations first African American President is vibrant, inspiring, and outright revolutionary - a shinning example of what Wiley's work represents, and what it meant to have a President that looked like generations of unaccounted for, and underrepresented people. View the gallery below for more of my favorite works by Wiley.